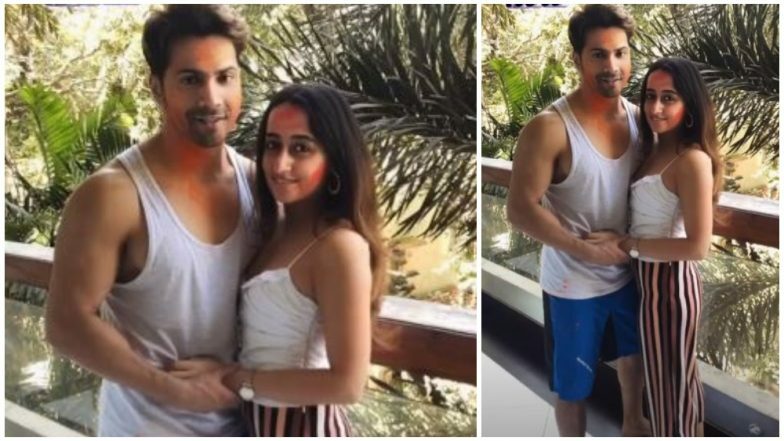 Holi 2019: Varun Dhawan and Natasha Dalal Celebrate The Festival With The Dhawans Amidst Wedding Rumours! Its the festival of Holi and most of us tend to celebrate it with near and dear and loved one. And actor Varun Dhawan was no different. 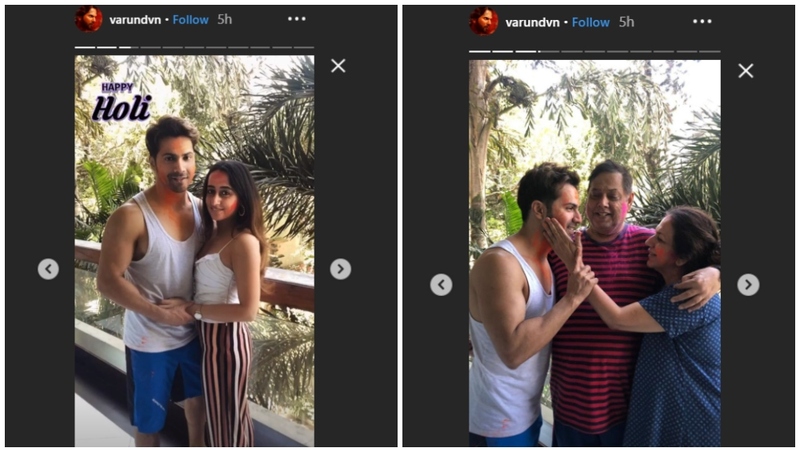 Despite a chock-a-block schedule, with Kalank promotions, Varun took time out to celebrate Holi 2019 with lady love Natasha Dalal and his parents. And the fact that Natasha spent the festival with the Dhawans, is only adding fuel to the fire that the pair will be tying the knot sometime this year end. Varun Dhawan and Natasha Dalal to Have a Destination Wedding? Read INSIDE Scoop! With colours smeared on their faces, Varun and Natasha looked adorable and happy, with Varun posing in a white vest and blue shorts, while Natasha sported a white top and striped trousers. Recent reports suggested that the duo, who have been dating for a very long time, are all set to tie the knot this year. And it is being said that they will be having a destination wedding, as Natasha wants to get married in the Maldives. There has been no official confirmation or statement from the concerned parties yet.